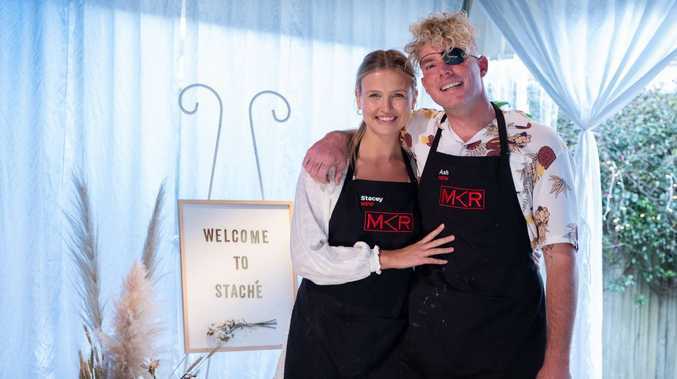 MY KITCHEN Rules is off and running for 2019 and Byron lovebirds Ash Keillah and Stacey Allen got the competition started with a smile. The social media marketers, who have a combined Instagram audience of 155,000 followers, were the first team to cook in the reality cooking show's 10th season. 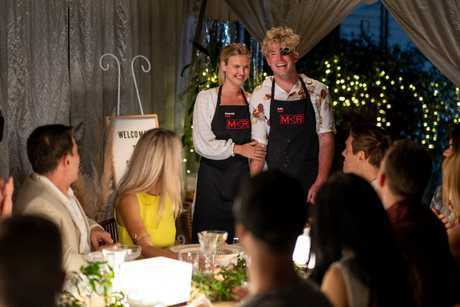 In tonight's episode, the bubbly couple served up a three-course meals out of their tiny kitchen for 16 dinner guests including MKR hosts Pete Evans and Manu Feildel. Recently engaged, they likened the intense day to a practice run of planning their wedding. Even when Ash was juggling 16 pieces of salmon between two pans and the oven, the couple remained positive and avoided any major disasters in the kitchen. "I liked going first because we put everything into our dishes and then we got to sit back and eat everyone else's food," Stacey said. "Everything we do together we try to make it fun, and I think we did that with MKR too. If your'e not having fun there's not point in doing it." Ash and Stacey were praise for their entree, which celebrated fresh Australian-caught tuna. 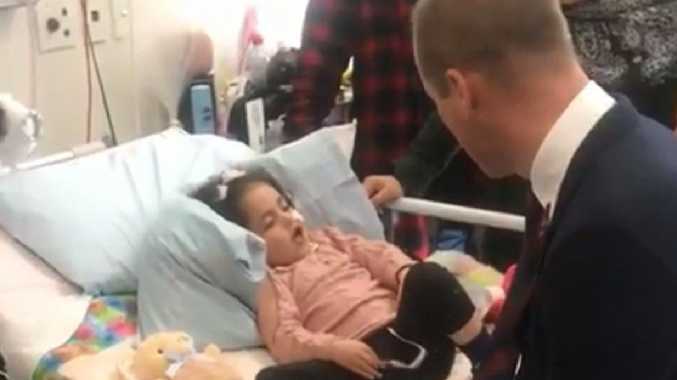 "The fact you didn't drown it in too many flavours was fantastic," Manu said. "*(But) you've got to be ballsy with your flavours." Taking that feedback on board, Ash and Stacey loaded their salmon with a miso dressing. It turned out to be the best dish of the night and a welcome distraction from the personality clashes around the dinner table - all centred around polarising brothers Josh and Austin. "The salmon is melting in the mouth," Manu said. "The miso is really apparent on the top of it and that brings a bit of sweetness and saltiness to the dish." Their dessert, unfortunately, was a letdown. Instead of a light and healthy chocolate and avocado mousse, their served up a thick dish that lacked almost any sweetness. "It's my type of dessert... but it's just too dense, too heavy," Pete said. "We always say we don't want sweet desserts but this had virtually no sweetness whatsoever. "But I think you have enormous potential in this competition." Earning a respectable score of 71, especially for the first team to test the waters, Ash and Stacey plan to take all of the feedback on board. "We like anything healthy and fresh and light, so our style at the start probably didn't have enough wow flavour," Ash said. "We had to learn how to step that up." My Kitchen Rules continues tomorrow at 7pm on Seven.